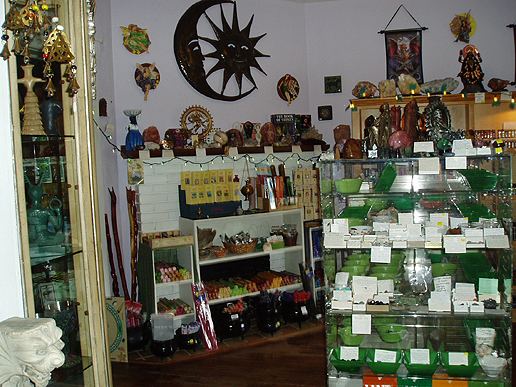 Xyn and Ann welcome you to their shop in the Historic District of Sanford, Florida! Please call in advance as Ann is not always available for readings even on the 3 days listed above. 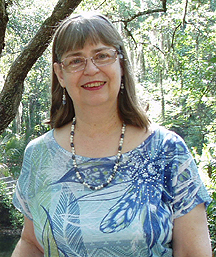 For more background information about Ann, check http://www.annmourasgarden.com where you can walk along a garden path with links to her family heritage and her practices, concepts, activities, photos, and much more. 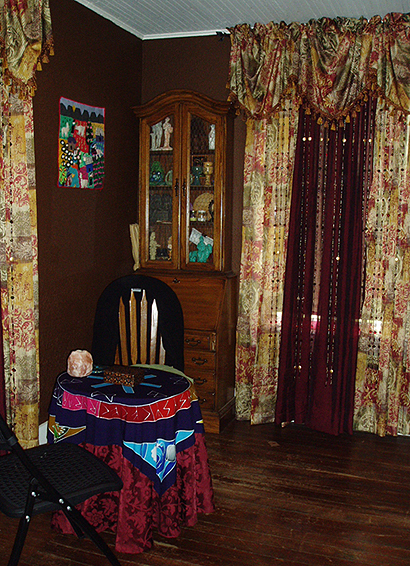 Torre' is a Professional Medium who does private readings, conducts Spirit Circles, and teaches Classes on psychic and spiritual topics. Readings are by appointment only. See the EVENTS page for the days she may scheduled for readings with Cards, Palmistry, Past Life, and Mediumship ($50 for 30 minute reading; $75 for 45 minute reading; $100 for 1 hour reading; $120 for couples 1 hour reading). Wednesday appointments may be scheduled between 10am and 5pm. Schedule an appointment and prepay by calling Torre' direct at 321-439-3073. 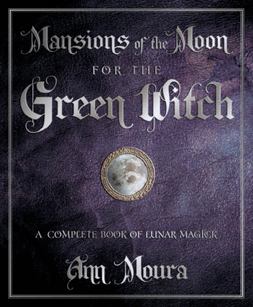 ANN MOURA'S AWARD WINNING GREEN WITCH TAROT DECK & BOOK SET! TAROSOPHY TAROT ASSOCIATION'S TAROT DECK OF THE YEAR 2015! INTERNATIONAL TAROT FOUNDATION (ITF) CARTA AWARD FOR BEST TAROT COLLABORATION IN 2015! 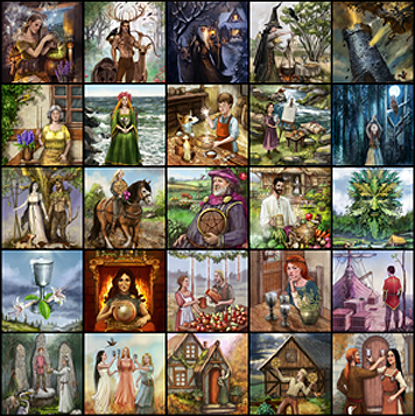 FINEST REFLECTIONS OF 2015 -- AMERICAN TAROT ASSOCIATION READER'S CHOICE AWARD IN TOP TAROT DECKS OF 2015! This deck is illustrated by the immensely talented Danish artist, Kiri Ostergaard Leonard! We had an amazing collaboration on each card during this project and she captured my vision for the Tarot deck beautifully, making this deck come alive in readings. Thank you Kiri!! 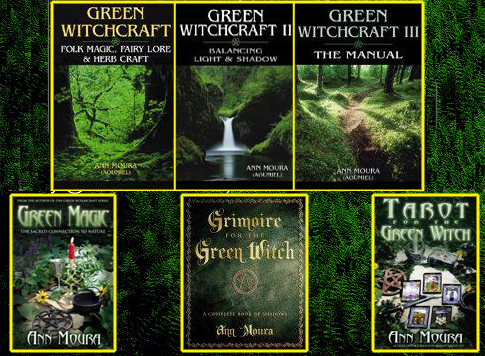 Ann's Green Witchcraft books are sold internationally, translated into many languages, including Portuguese, French, Italian, German, Spanish, Russian, and soon in Japanese. Contact the store to order autographed copies of her books or order directly from Llewellyn Worldwide, LTD.
GRIMOIRE FOR THE GREEN WITCH is a Coalition Of Visionary Resources (COVR) Award Winner and contains all her rituals, rites of passage, magical correspondences, divination techniques, and numerous spells, crafts, and recipes for magical teas and herbal baths. MANSIONS OF THE MOON FOR THE GREEN WITCH shows how to incorporate the energy of the ancient system of lunar mansions into Esbat magical workings in accordance with the Witches' Rede of "Harm None." The book contains numerous spells, meditations, and activities for Esbats held during Waxing, Full, Waning, and Dark Moons. 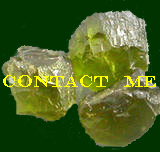 The energy of the fixed stars, magical squares, and correspondences for stones, colors, herbs, and more are utilized to draw in the most power and energy for accomplishing goals when the Moon is in any given Mansion. 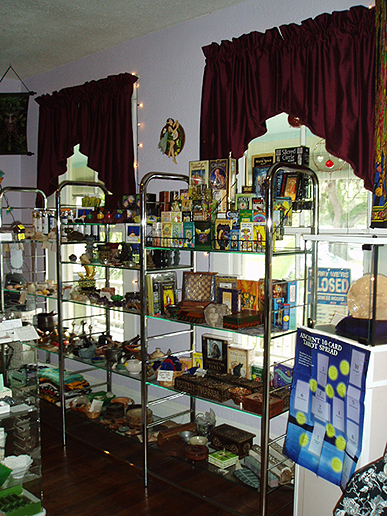 With credit card by phone, call Luna Sol Esoterica at 321-363-4883 to order Wednesday - Saturday, 10am - 6pm; Sunday 11am - 6pm Eastern Standard Time, USA. 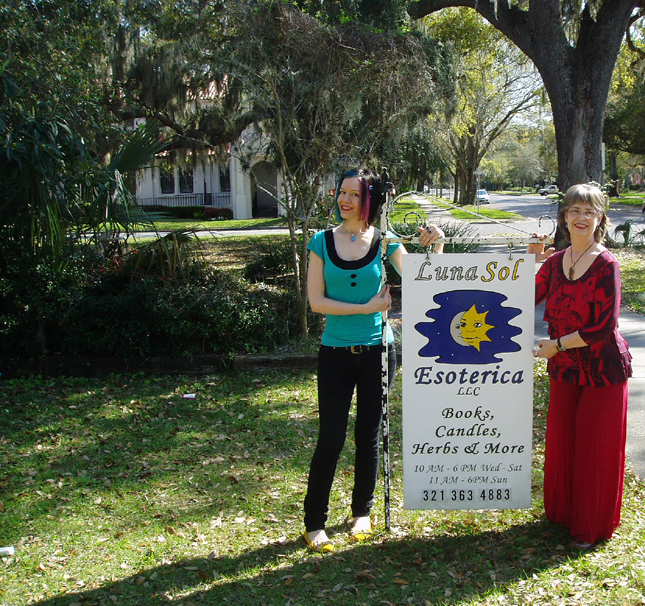 VISIT LUNA SOL ESOTERICA FOR ALL YOUR METAPHYSICAL NEEDS! 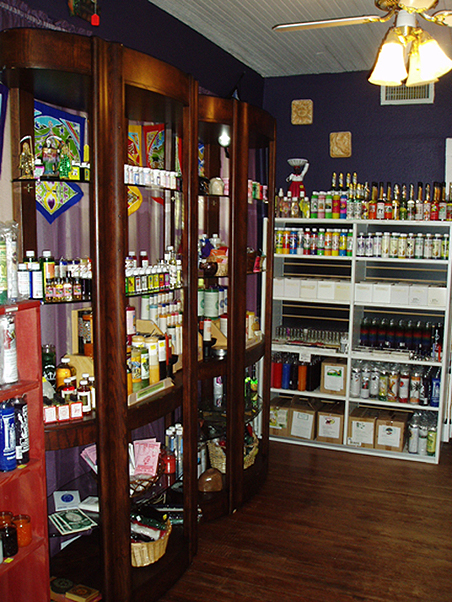 LUNA SOL ESOTERICA has a knowledgeable and experienced staff and offers many metaphysical products including a beautiful array of crystals and minerals, spheres, polished stones, and rough stones in a shapes and sizes to suit any budget; bulk herbs, incense, smudges and accessories, books, statues, ritual tools such as handcrafted wands, athames, bollines, chalices, and pentacles; a large variety of candles, oils, divination tools and other items for your altar, shrine, Craft, and spiritual needs. 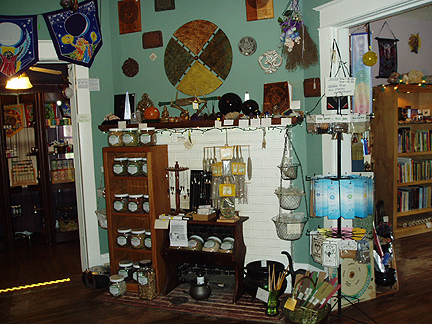 It is our desire to offer the Community a place for ritual, healing energy work, classes, and special events, while also providing the tools and other spiritual and metaphysical materials that aid those seeking alternative paths to the Divine and self-fulfillment. 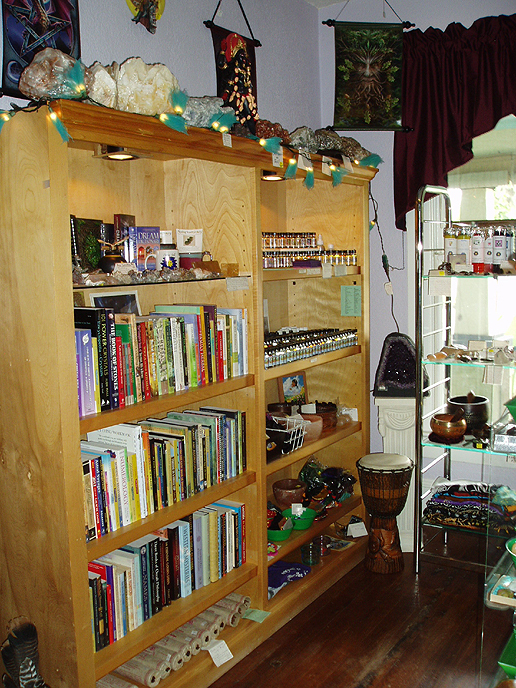 Guest speakers, authors, and healers are welcomed to present workshops and classes at the store. 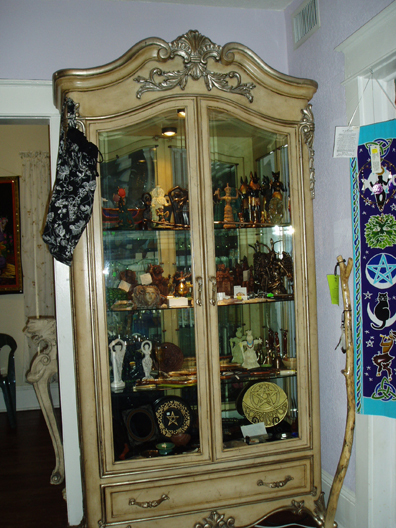 The 8 Sabbat Rituals are celebrated with family-friendly Festivals at the store throughout the year (no cost). 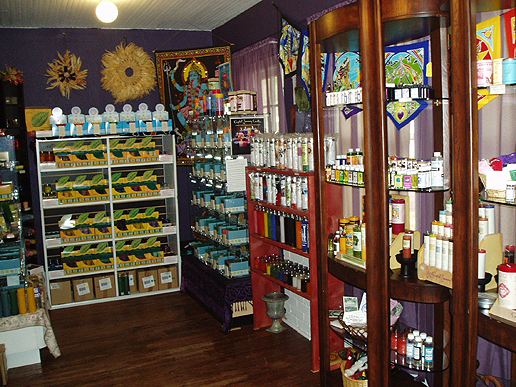 To keep current with all of the special events and classes at Luna Sol Esoterica, click on the Events Gem at the sidebar. From I-4, exit at SR 46 and drive to the Historic District of Sanford. 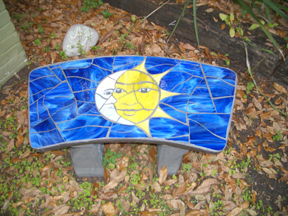 Turn south on S. Park Ave. and look for the two story green house with the Moon & Sun sign in front on the left between Third Street and Fourth Street. Parking is available on both sides of the street, but not in the lot next to the store (Tow Zone).